Think that you are already overpaying for cable? Think again! According to the NYPost.com, monthly cable bills will continue to grow in the coming years. In fact, they are predicted to be an average of $200 a month! This does not include Internet and phone services either. NYPost.com continues, “Currently, households spend an average $86 monthly for basic and premium cable offerings — not counting Internet or phone service”. They continue to say that prices will rise steadily for all means of entertainment. 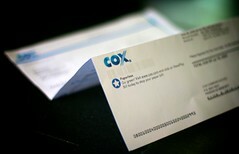 We can expect to see the average cable bill at $136 by 2015. Many would think that at these prices, cable would become instinct. However, people are creatures of habit and will most likely continue to pay for the comforts of cable, even at such a high increase. People will continue to complain about the prices as well as their increasing debt, yet do nothing to cut the costs. Think about it, paying $200 extra a month towards your home mortgage instead of the cable company will shave eight years off of a $250,000 home loan, for the duration of the loan. Chances are that you are already fed up with your monthly cable bill. You are not alone. 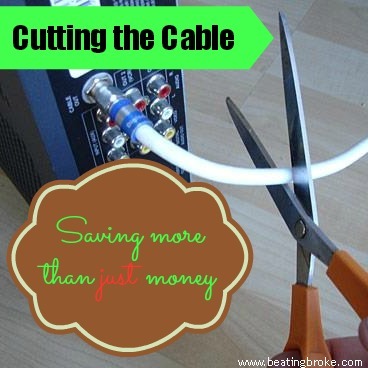 Here are some ways to cut the cable costs and still keep your entertainment. Cut Cable All Together: First things first. Get rid of cable. Don’t think about how many shows you will be missing or that you will die of boredom. Cut the cable and try to live without it for a week. If you cannot live without watching your favorite shows, then follow the suggestions below. However, a week without cable should help many people realize how much time they actually have. How many activities they can actually accomplish without being glued in front of the tube. Finally, a week without cable will establish which shows are the most important for you to watch. Now that you are saving on average $86 a month, put it to something useful. Applying it to your monthly mortgage payment will cut your $250,000 home loan by four years in the lifetime of the loan. Or, start putting that extra money into savings. Over the course of the year, you will have saved $1036. All of a sudden, a vacation looks a little more doable. As a So. Cal citizen my whole life, if you would have asked me as a child if I would give up T.V. for a year to receive an annual pass to Disneyland, with the chance to go once a month – you can bet the answer would have been an easy yes. That situation would have been very possible if we used the money for Disneyland or other fun adventures instead of cable. Watch Hulu.com Online: Stream your favorite shows through Hulu.com. Many of the shows are free to watch. For $7.99 a month, you can upgrade to the Plus membership, which offers more shows. With the Plus membership, you can also stream shows to your TV through an Xbox 360 or Playstation 3. Check Into the Dish: While cutting out television completely is actually an easy step, it is not for everyone. It is undetermined whether prices for owning a satellite dish will be cheaper in the future, or if they will increase their prices like cable. However, it is always a choice to look into for die-hard T.V. fans. There are many alternate routes to cable, including Hulu, Netflix, Amazon, Roku boxes, and the good, old-fashioned library. All of them will save you a lot of money. There is not much that can be done about the rising costs of entertainment over the next eight years, but there will always be cheaper alternatives.